Meet Taurus, the zodiac’s talented problem solver. Taurus is extremely earthbound. They love stuff and often succumb to Shiny Object Syndrome and major retail therapy. Taurus is also the go-to for anything that needs fixing—they’ll find a solution no matter what. Famous for their signature stubbornness and procrastination, they’ll stick to their comfort zone ‘til the other shoe drops. 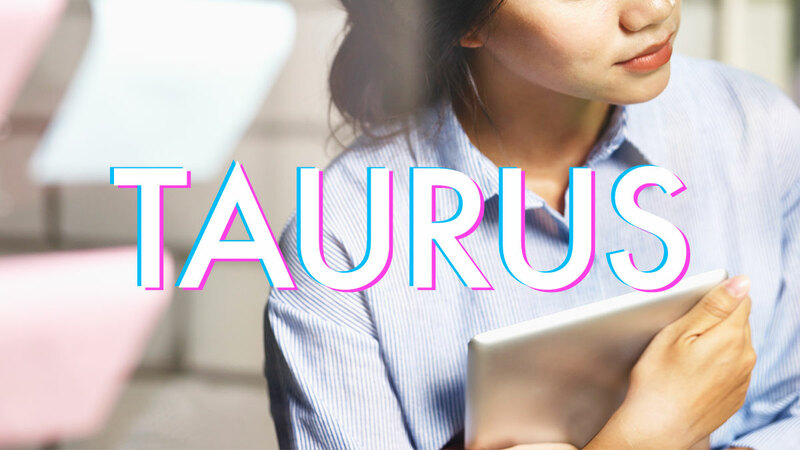 Taurus can seem pretty lax and low-key when it comes to their careers, but it’s not because work doesn’t matter. Their approach is slow and deliberate rather than haphazard and hurried. They don’t like to be rushed… which can be a problem because they’re always testing everyone else’s patience and boundaries as far as deadlines are concerned. Taurus will leave things to the last minute almost each and every time and will resent anyone who tries to rush them into beating the clock. No matter their methods, Taurus’ talent is unquestionable—and is probably why they get away with being last-minute. Their practicality and ability to produce great work is especially beneficial for their careers. Detailed oriented enough to break things down but with the foresight to see things big picture, Taurus produces results always. Taurus’ resistance to change can be problematic at work—they can’t stand it when the status quo shifts and are left on a lurch. Put Taurus in an uncomfortable, tenuous situation and you’ll most likely see their irritability go from zero to a hundred. In love, Taurus commits 100 percent. When Taurus is in a relationship, they’re in it for the long haul. If you believe no one takes commitments seriously these days, then you probably haven’t met a Taurus in love yet. Thoughtful, caring, and supportive of everything their partners are into, these people pleasers can become so devoted to their significant other that their faithfulness can take a dark and twisty turn into possessiveness and extreme jealousy. Despite their envy, Taurus is always determined to stick it out. If any problems arise, they’ll work through it until they reach a resolution. It’s great if they can find a partner who’s equally forthright and meets them halfway. But when Taurus’ luck strikes out, their infatuation for someone can have them putting in all the effort and work just to keep the peace. Never one to initiate a breakup, Taurus is too stubborn to admit that things are going less than stellar in the love department. Taurus’ best bet when it comes to a successful relationship is to go at it slowly, over time. Letting a natural and easygoing friendship move into a slow burn that turns into a relationship will help build the kind of trust that’s worthy of Taurus’ level of commitment. Taurus should consider their partners lucky—when they feel loved, they’ll dish out affection and love like it’s no one’s business. Taurus will jump fences for their friends. Taurus can be counted on for the fun stuff and the serious stuff. They’ll drop everything to take a road trip with you, enable all your shopping sprees, and be your regular movie buddy. They’ll also be there when things get rough, treating you to a fancy bottle of wine or a huge chunk of pie you would have never indulged in by yourself. Taurus will offer advice when you need counsel, but may take it against you when what they say goes in one ear and out the other. Setting a regular day to meet and catch up with your Taurus friend is ideal because they are such strong creatures of habit. They value routine, especially with friends, and feel a little put off and disoriented the second a minor change disrupts the regular programming. Always reliable, willing to help beyond anything that’s expected of them, and generous even with their money and energy, anyone would be proud to have a Taurus in their tightly knit social circle. In family matters, Taurus wants to be respected. Depending on Taurus’ mood, they can be chatty and a source of entertainment for the family, or a homebody who’ll lock themselves up in their room for an entire weekend. As long as family leaves them to do their own thing, Taurus is generally easy to get along with. They’ll probably spend more time with friends than family, but will show up when it counts. Because they are so in touch with the physical world, Taurus can be extra sentimental when it comes to stuff that belongs to the family. They’ll be quick to hoard bits and bobs from an old ancestral home, and will fight to keep things from childhood relevant no matter how outdated they already are. If there are any responsibilities, parties to plan, and things to be taken care of at home, Taurus can be counted on to get things done. While they may not show it all the time, Taurus loves being included in plans and can hold a grudge if they feel the FOMO coming on. Taurus needs the outdoors to feel healthy. As much as Taurus loves the comforts of home, they also feel extra recharged when they’re out reconnecting to the earth. Whether that means a hike up the mountains, tending to plants, or walking barefoot on the beach, they get a surge of energy when they’re out of the city, feet firmly planted on the earth. Taurus loves their little treats and needs to keep their eye on what they put in their body. There may be a tendency toward emotional eating, so Taurus has to make sure they can pull back and rein it in when they’re becoming overly indulgent. Regulars at the spa and salon, Taurus loves to primp too and consider it an essential part of their wellness routine. The perfect remedy to a testy temperament, Taurus can immediately cool down once they see themselves looking great. To know more, visit PracticalMagic.co.